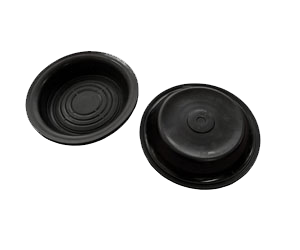 Diaphragms Manufacturer, Diaphragms Manufacturer in Pune. Rubber Diaphragms are resistant to a variety of media at different pressure. It's function is to fulfill switch, control, valve, pump and accumulator functions. The offered diaphragms ensure high strength to the equipment or tool.